I first encountered Thomas Ligotti in print decades ago, when my younger brother, who had been working at a local bookstore, presented me with a box of coverless paperbacks that had originally been destined for the incinerator. One of the books included was Ligotti’s Songs of a Dead Dreamer. On a whim, in-between Eric Van Lustbader’s Nicholas Linnear novels, I cracked it open. The stories within were bizarre, disturbing, and like nothing else I’d ever read. There was a hint of a Lovecraftian style to them, but it appealed to more modern sensibilities. There were times I had to put it down for a few days not just because what he’d written needed digesting, but because they were so damned creepy. I can’t describe them here in a way that gives these stories justice, so I highly recommend you go take a look. This was in the early days of the internet, so there had been no way to learn more about Ligotti and his works, at least for the amount of effort that I had been prepared to expend at the time. We had telnet that we used to MUD on, and a nascent web, but nothing like we have today. Other books called, including college textbooks, so I moved on. 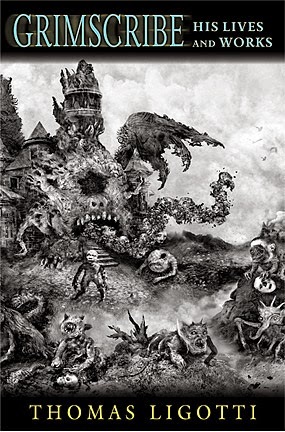 The coverless paperback managed to lose itself somewhere between Pennsylvania, Colorado, and Florida as a casualty of my peregrinations across the country, so while Ligotti’s name drifted away from my active consciousness, the effects of his stories stayed with me. An unfortunate reminder of him came in the form of this blog post on the awesome Lovecraft Ezine. While it’s great to read that his works have endured such that they’ve possibly been plagiarized, it’s terrible that this has happened. I haven’t watched the show True Detective, and while I’ve heard good things about it, I probably won’t watch it now. As it turns out, Ligotti’s not doing as well as one might hope, but he continues to write when he can, and that’s good. Now that I’m reminded of him, I’ve picked up his The Conspiracy Against the Human Race. It doesn’t promise to be light reading, which is exactly why I got it. Read his stuff if you can find it, but be warned: you won’t be the same afterward. As part of the process of adopting a child in the United States, we had to attend parenting classes. These classes taught things like dealing with an emotionally abused or traumatized child, parenting a child from a different culture from you, children with attachment disorder, and several other topics. For the most part, it was a waste of time. Much of what was taught wouldn’t apply to our situation. The agency we went through for our certification did most of their business through foreign adoptions of Ethiopian children. In fact, we were their first domestic couple. At the beginning of one class, while we were sitting around waiting for the state-mandated instructor to tell us that a common excuse for why African Americans don’t adopt white babies is because they don’t know how to take care of their hair, one adoptive parent said something extraordinary. He said, “When I tell my friends that one of the reasons we want to adopt is because we want to do a good deed, they ask me why don’t we just donate the money instead?” The question had frustrated him, and he didn’t have a good answer for it. This is a picture of a cake I made in 2009 for illustration purposes. The nature of the question is instructive in itself, and describes an extremely common mode of thinking: that the value of a good deed, of charity, is measured in large part by how “selfless” the deed is. As if you’re not supposed to get anything out of performing good works. That’s ludicrous. It speaks of a mindset that values intentions over results. There’s no reason to think that one cannot do a good, even selfless act and still personally profit from it. The two notions are not mutually exclusive. Charitable acts don’t have to be their own reward, including the adoption of a child. One can fulfill the twin desires to become a parent and do a good deed simultaneously, without reservation. A fed, loved, cared-for child is the result. The intention is immaterial. Contrast this, then, with confiscation of property by the government to achieve similar ends: this is not charity, nor is it virtuous. When the fruits of your labor are taken from you to maintain social programs, it is not charity, because your choice to give has been taken from you at the point of a gun. If you think this is extreme, try not paying your taxes for a while. And talk to Wesley Snipes. Ultimately, we live in a world of results. Your intentions cannot be measured, nor should they be. What matters is that you do give, not why. Anyone seeking to determine the value of your charity by how little you personally gain from it is someone who would prefer to rely on state confiscation rather than good works to achieve virtuous ends. In a free society, it simply doesn’t work. 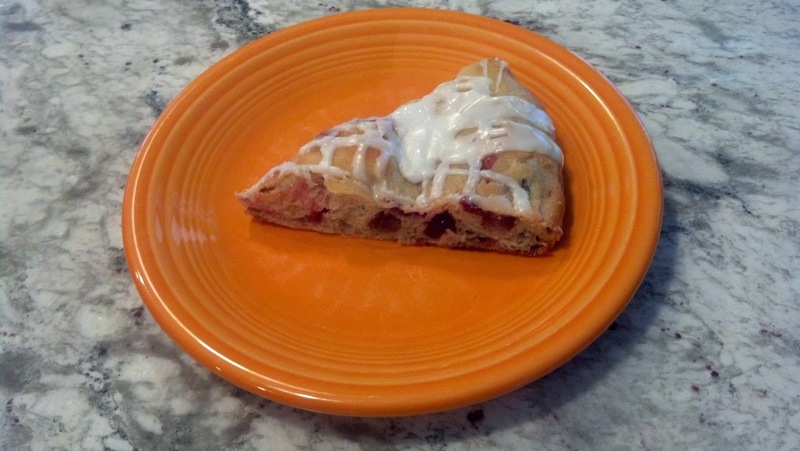 My earliest memories of raisin bread involve tearing off the top crust to eat the icing and throwing out the rest of the slice. My brothers did the same, so my dad stopped buying it. It just wasn’t very good. This focaccia-style raisin bread from Peter Reinhart is the complete opposite of that. It’s extraordinary. It’s the apotheosis of raisin bread. 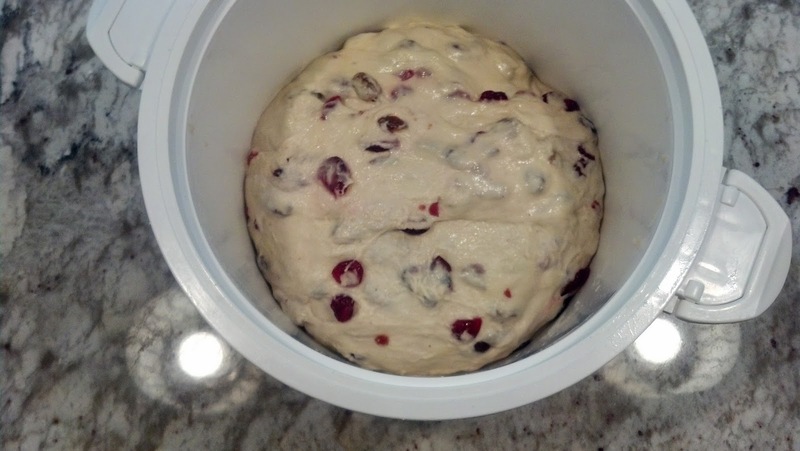 It’s what raisin bread is supposed to be. I won’t duplicate his recipe here; you can get it from Artisan Breads Every Day or from his Craftsy class, which is worth purchasing if you want to learn how to make delicious bread and pizza at home. 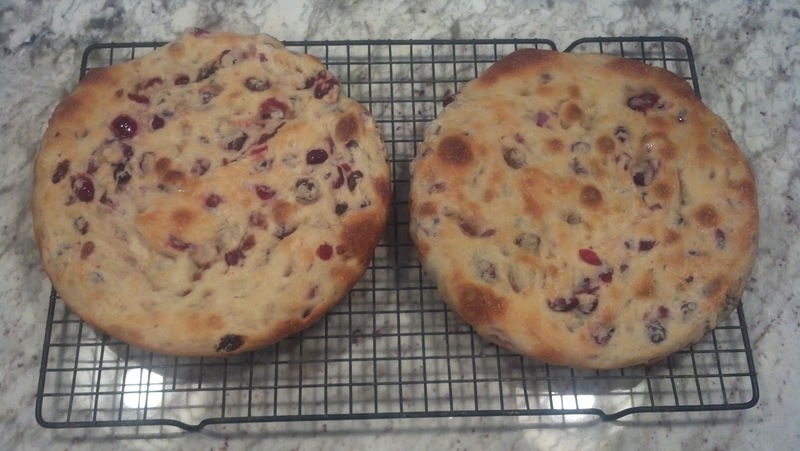 The main difference between the savory focaccia recipe and the raisin bread recipe is that you have to use a little more water in the raisin bread dough to plump up the dried fruit. 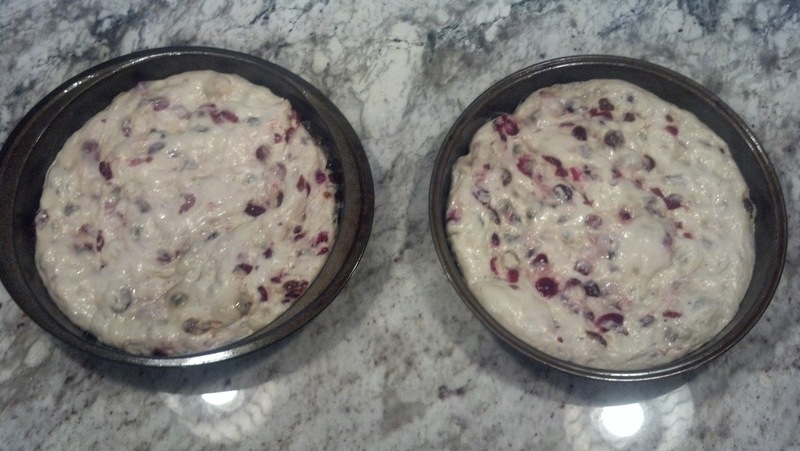 For these loaves, I used a combination of dried cranberries, raisins, and dried cherries. 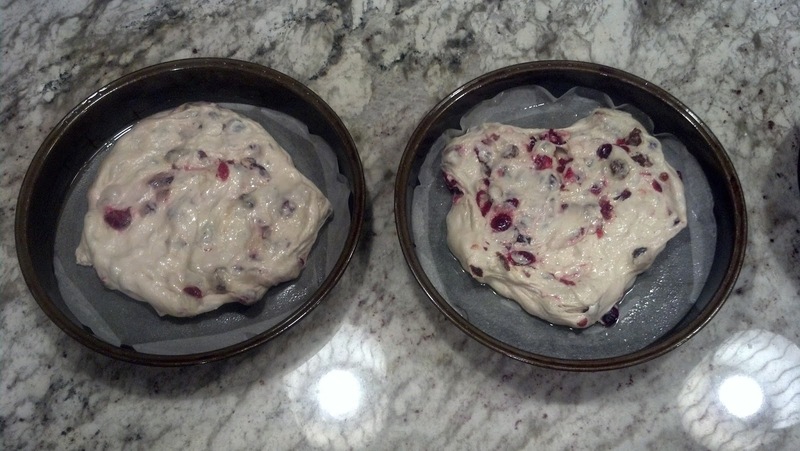 The recipe makes three 9-inch loaves (or discs) of raisin bread, and requires cake pans, parchment paper rounds, and a little oil to drizzle on top of the dough to help in shaping. I used a combination of vegetable and canola oil. The shaping in the pan consists of little more than dimpling it: evenly pressing it with your fingertips so that it fills the entire pan. When it starts to resist, you leave it in a warm place to relax for several minutes. Then the loaves get baked in a hot oven for around 10-15 minutes, depending. You don’t need the pizza stone for this bread. 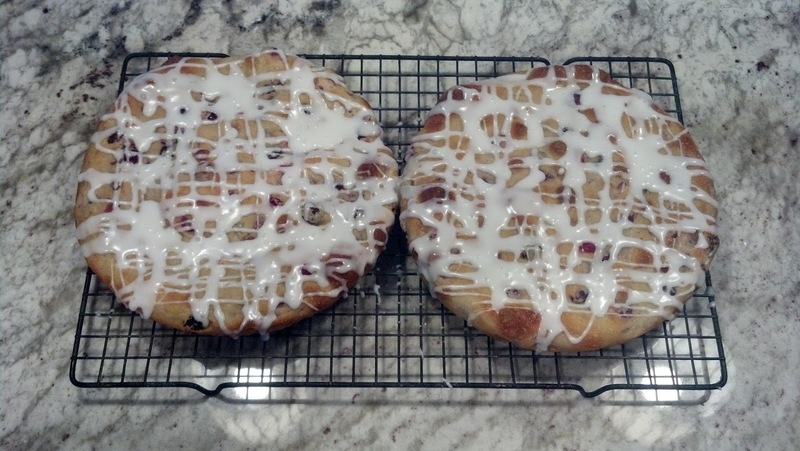 For icing, I just whisked together confectioner’s sugar and whole milk and drizzled it on the cooled loaves. I like a stiff sort of icing, so I only put in a few drops of milk. For a looser, more gooey icing, put in more milk. You could add vanilla or almond extract to the icing if you wanted, or even put in some orange zest or Grand Marnier. Or substitute coconut milk for the whole milk. Experiment, go wild. 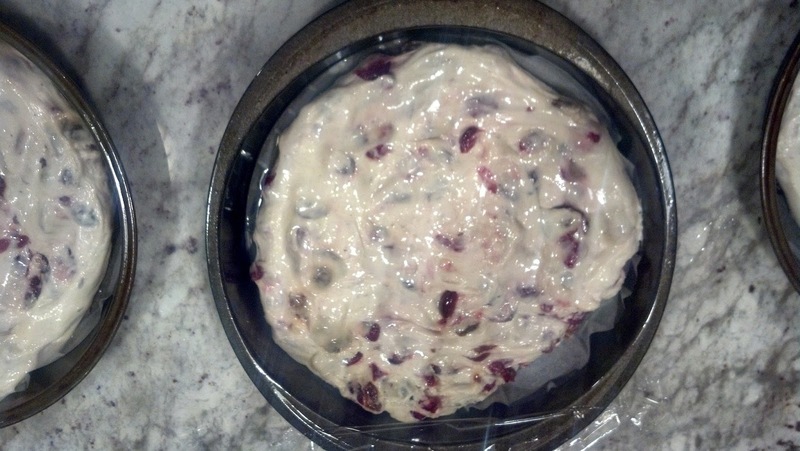 The sweetness of the icing works very well against the tartness of the dried fruit. The texture is light, with a pleasant crunch and moistness. 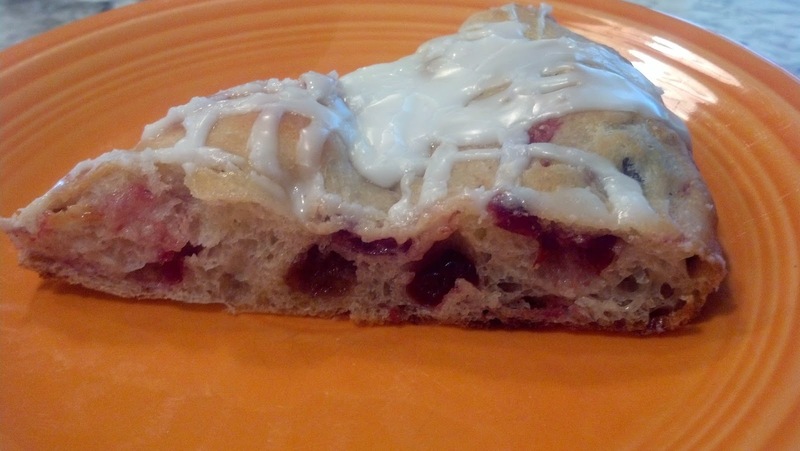 Even if you don’t like raisin bread, you’ll like this. I wrote a piece for Clancy Tucker’s blog on domestic adoption in the state of Colorado. 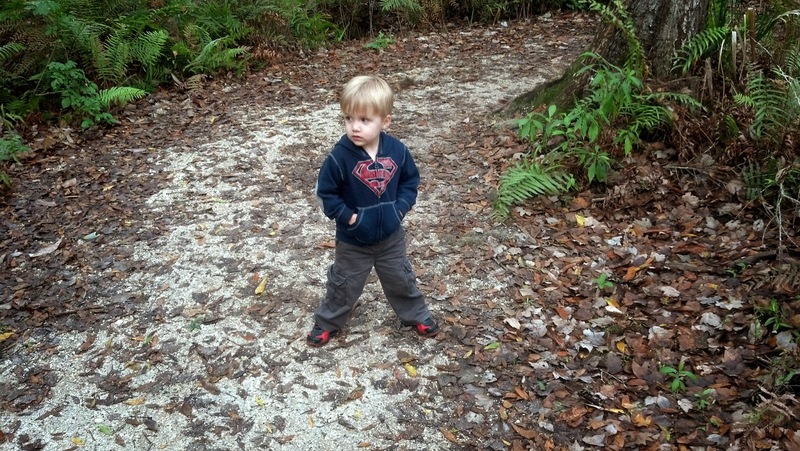 It outlines, in very broad strokes, the process of adopting a baby boy, like we did. There’s a great deal more to it, and as always, God is in the details. (Or, depending on one’s mood, the Devil is in the details.) Future pieces will describe some of these experiences more specifically. Unless you’ve done it, unless you’ve been there, it’s not what you think. Take a look at it on Clancy’s blog. It had been a relief to go outside, to get away from the endless talk about nothing that mattered. She’d drained her phone’s battery on the long drive, and had spent the first hour of the visit kicking herself for leaving the charger on the kitchen counter at home. The next hour had been taken up with answering the usual questions about school and summer in between bird-bites of a stale cheese sandwich. Bored beyond belief and showing it, she’d asked after lunch if it was okay to take a walk by herself, halfway to the door before getting permission. “Just steer clear of the shed,” warned her great-aunt as the screen door slammed shut. The neighborhood’s banality was a perfect mirror of the family visit she’d sought to escape: quiet, familiar, and utterly uninteresting. Every lawn had been mowed, every sidewalk swept, every curtain drawn on every window. The center of town with its obligatory 7-11 was probably only a few blocks away, but she wasn’t sure which direction, and she’d left her bag at the house anyway. Well, this was a bust. She might as well go back and wait it out inside, where it was cooler. Walking past her father’s Outback in the driveway, she remembered what aunt Rose had told her and stopped just short of the screen door. What was in the shed to steer clear of? Before she could talk herself out of it, she moved with quiet speed down the porch steps, along the side of the house, and around to the back yard. The shed looked ancient, with peeling paint exposing the rotten wood beneath. Below its only window were four discarded tires, and looming above the structure was a huge oak tree, strangely bare of leaves in the middle of summer. It’s probably just full of cousin Jared’s old stuff, like car parts, she told herself. He’d passed away when she was six years old, and her recollections of him were dim, at best. It would be cruel to go through a dead relative’s things out of boredom. Unless Aunt Rose was keeping something else in there. 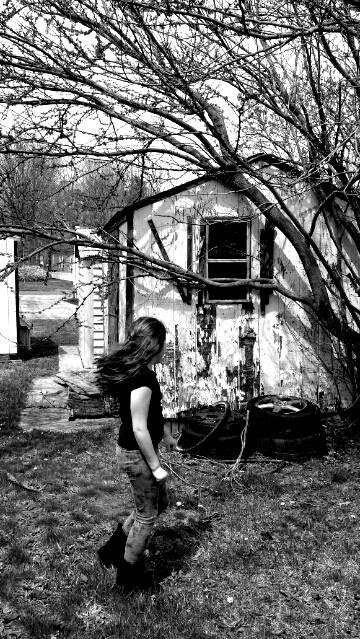 The wind kicked up, lifting her hair and causing the bare oak’s branches to brush against the side of the shed. She didn’t have to go inside to see what was in it. 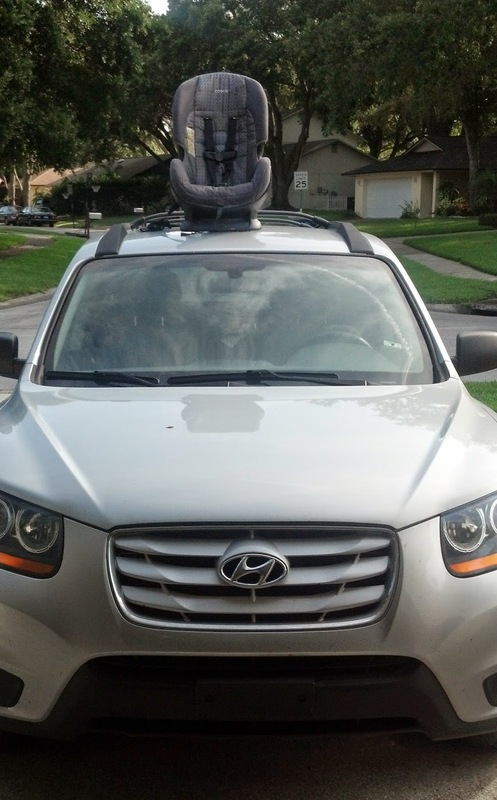 All she had to do was step up onto the tires and peek through the rusted window screen. What harm would there be in that? Son: I’m gonna eat you all up like a hot dog, Daddy. Son: Put ketchup and mustard on you. Son: Num num num I’m eating you up! Me: Oh God no, stop! Son: Num num num num! Urp. All gone! Me: I guess that’s it, then. Me: *peering out through the windshield at the rain* Nice day for the ducks, eh? Son: They’re nice and warm in the tree. Me: What about the turtles? Me: Are you gonna get tattoos when you grow up? Son: Daddy, please sit on…ahhh…please sit on, uh…please sit on…ahhhh…please sit on…sit on MY lap. Please sit on MY little lap. Me: Your lap’s not big enough for me to sit on, buddy-roo. Son: I have money in my pocket. Me: Where did you get money? Can I have some? Me: What did you have for your snack today? Me: Yes, you do! It was an hour ago. Can you tell me what you ate? Was it cookies? Me: You’re just saying that because I said it. Did you really have cookies? Me: What kind of cookies? Did they have cheese on them? Me: I think you’re making that up.